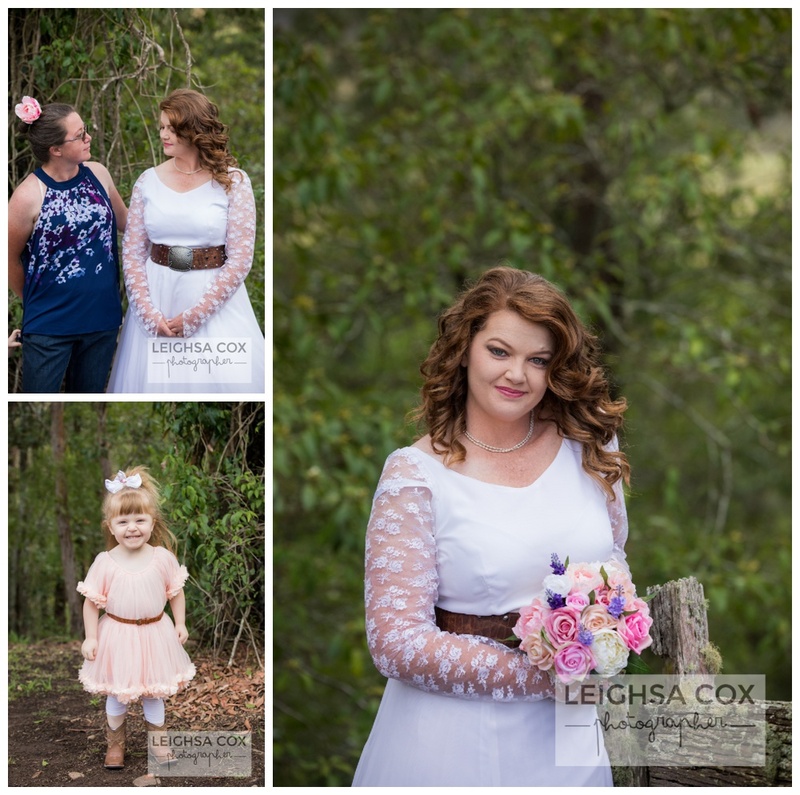 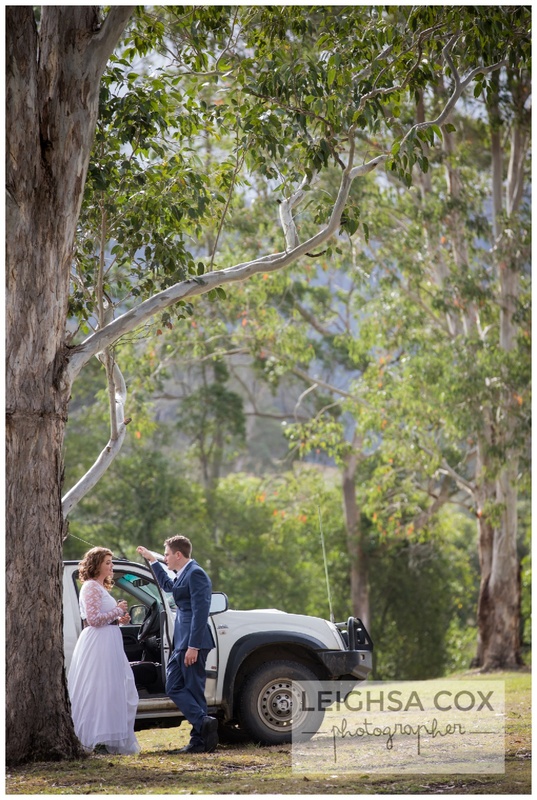 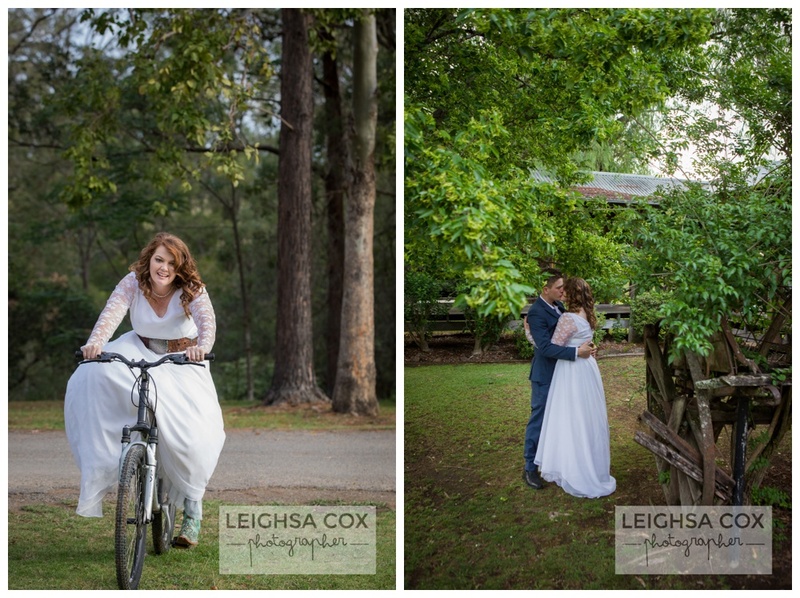 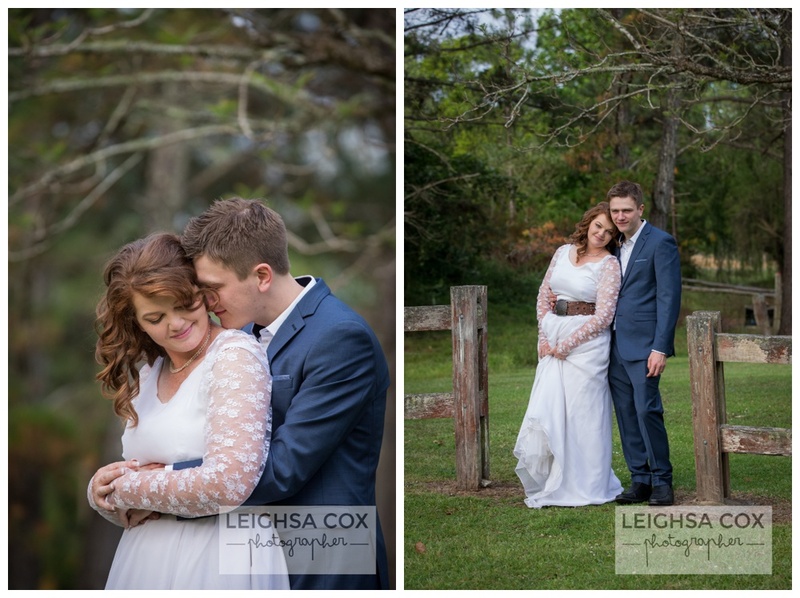 Sweet couple, country styling, happy smiling faces. 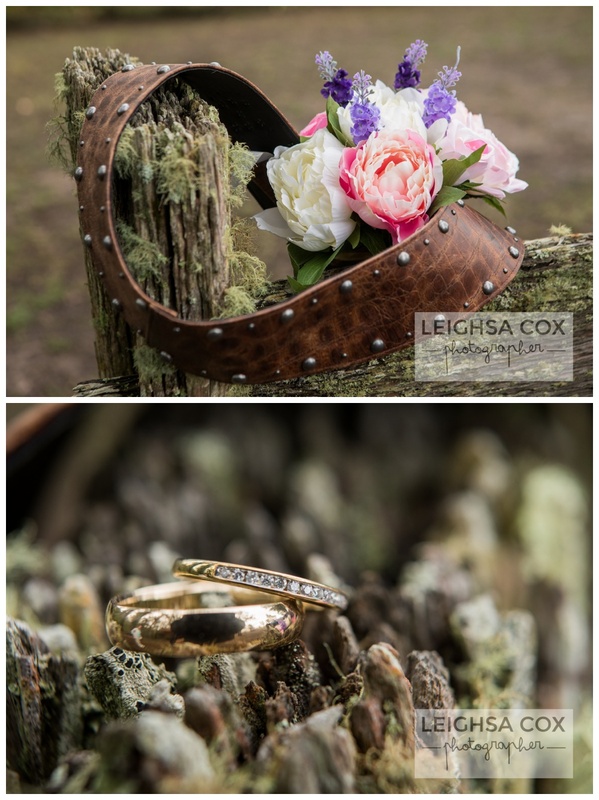 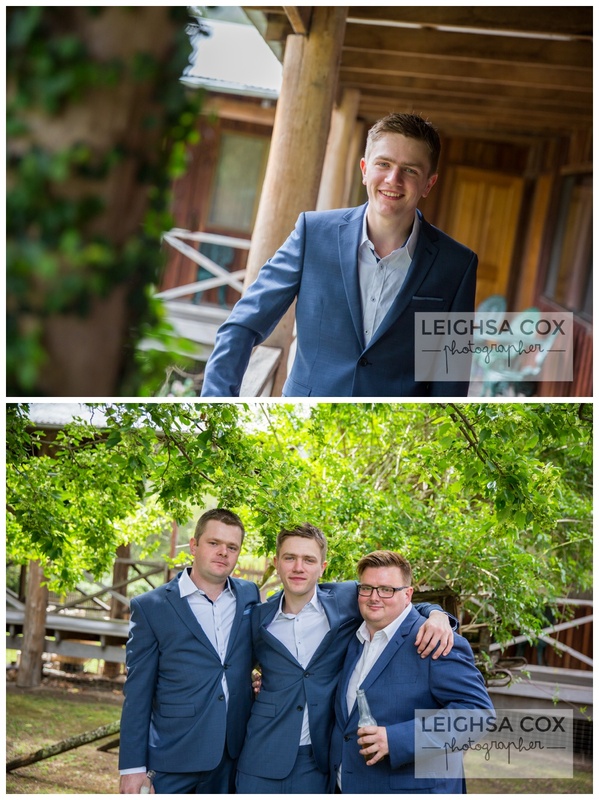 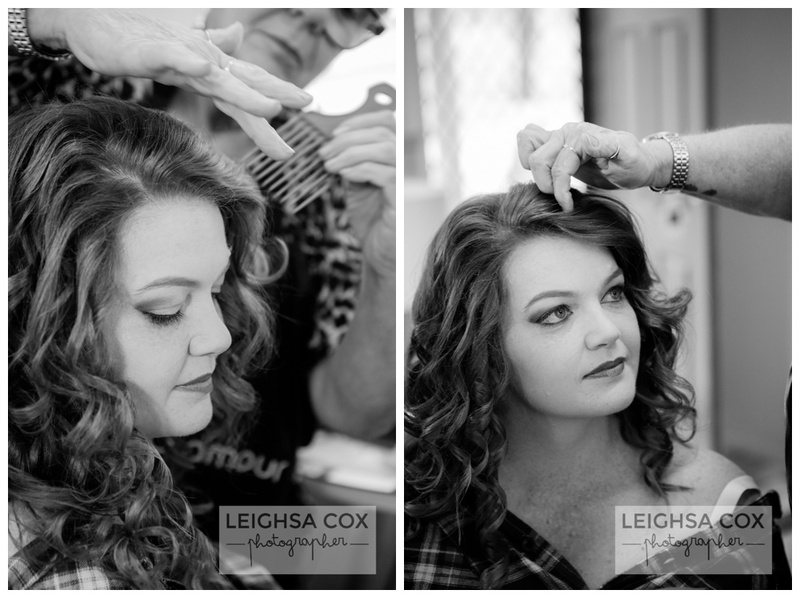 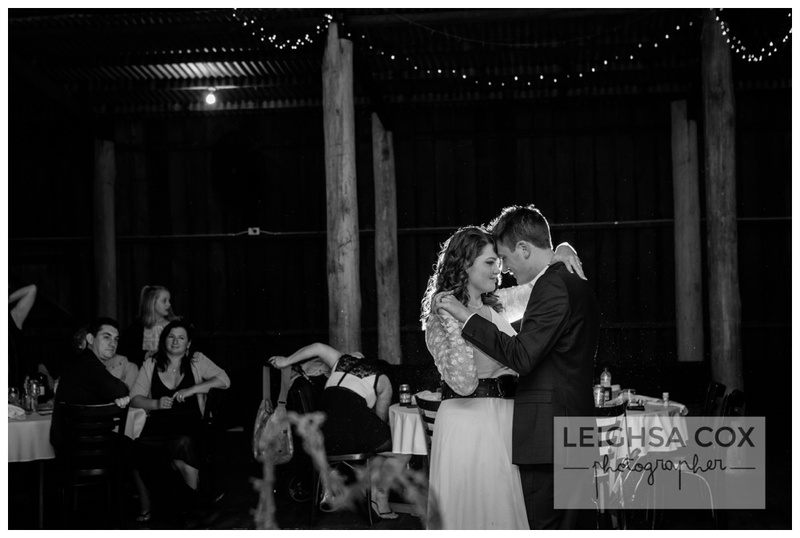 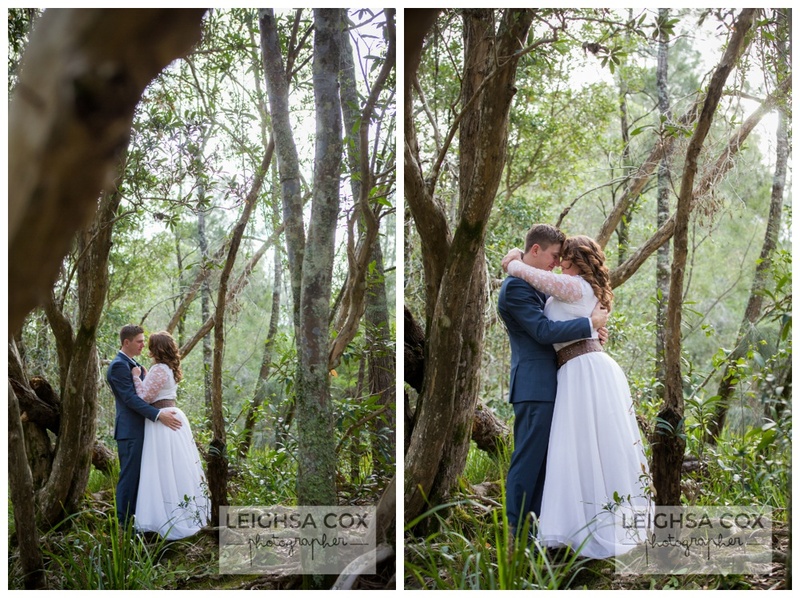 This loved up wedding was a pleasure to be a part of. 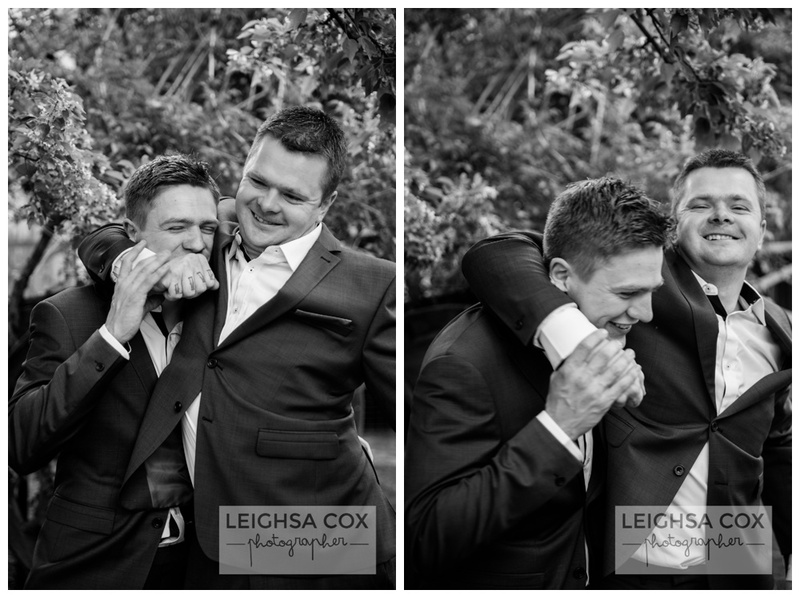 I have known these two for a few years now, we normally catch up for camping and mountain biking get togethers. 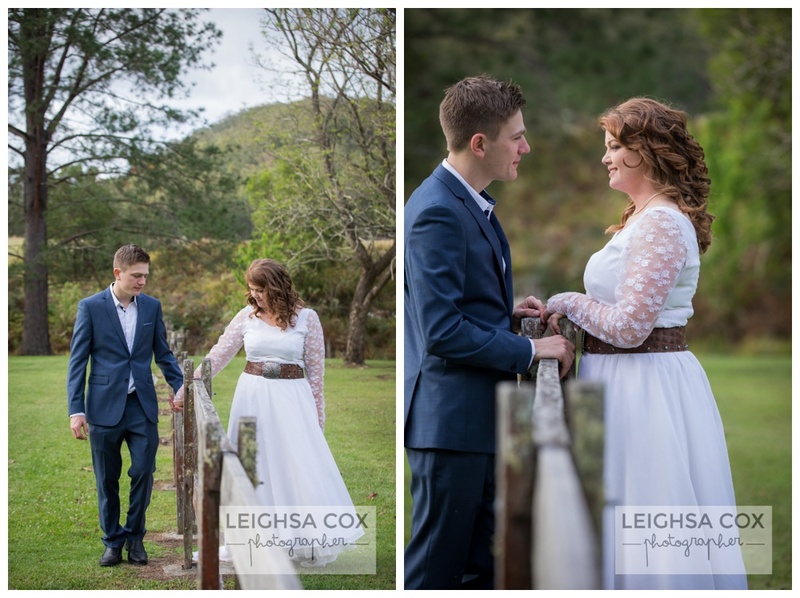 Seeing them dressed up in their finest gear was a big change but so lovely. 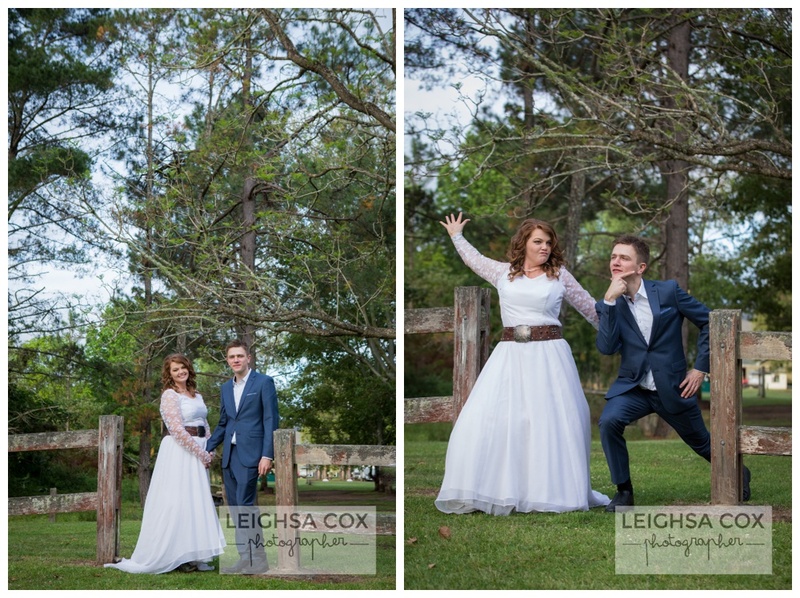 They looked fabulous! 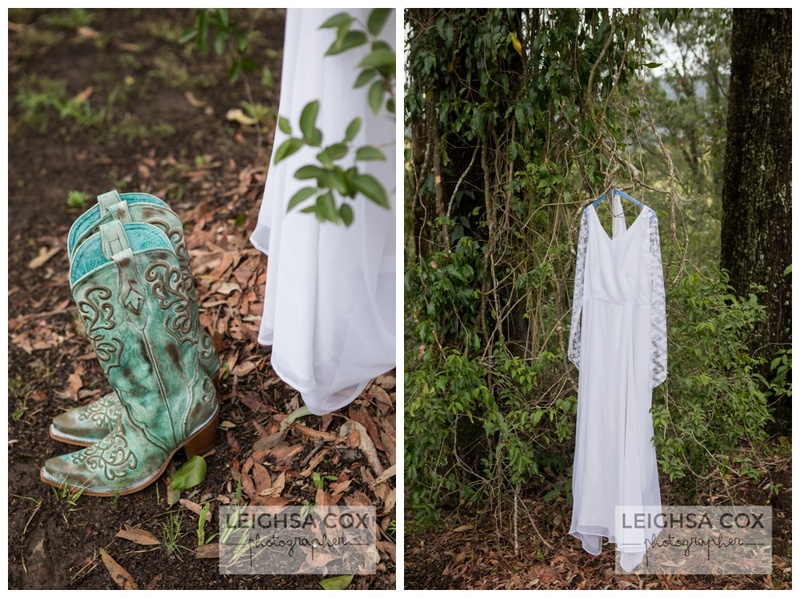 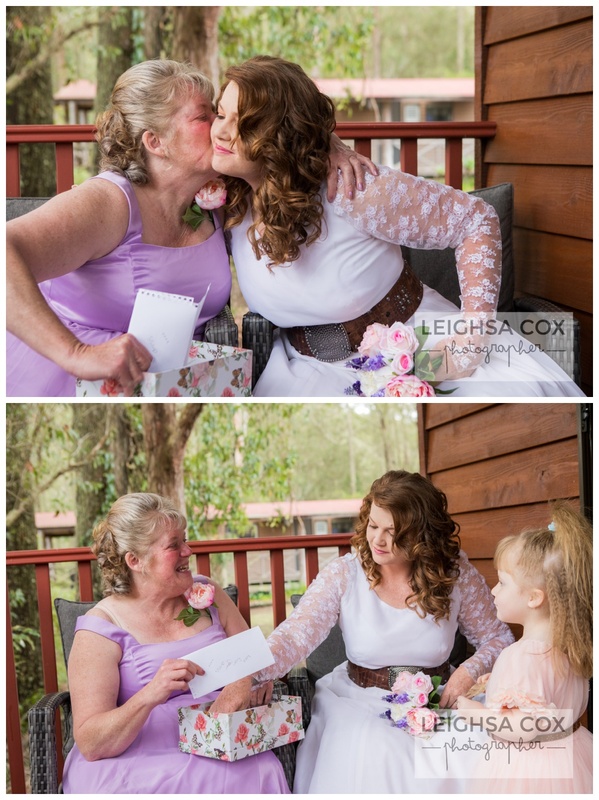 Lorraine’s dress was her mum’s wedding dress that she had altered. 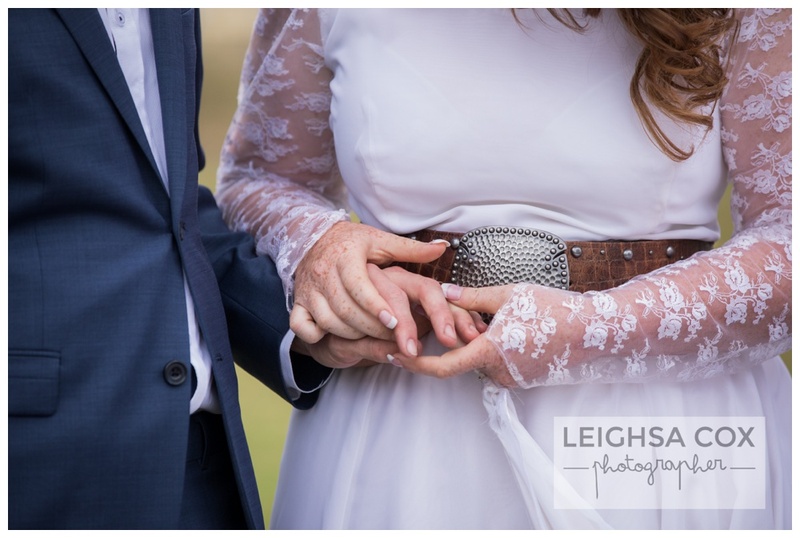 Plus she added the belt for that authentic country touch. 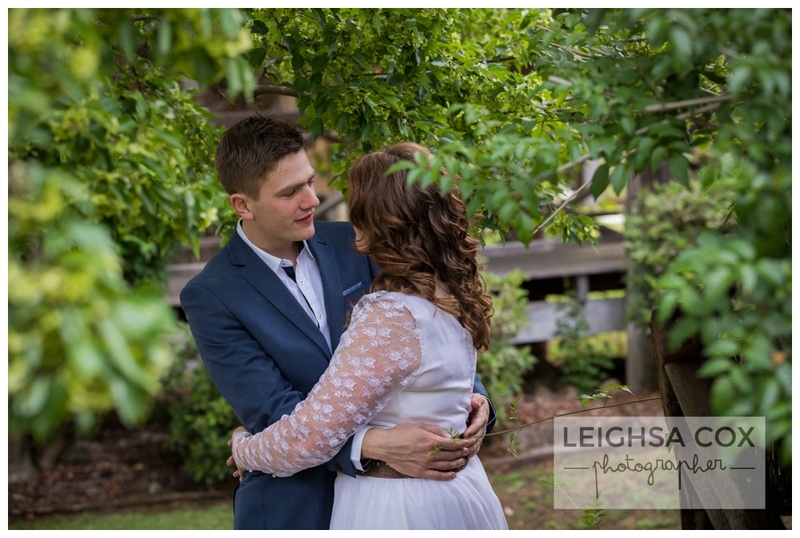 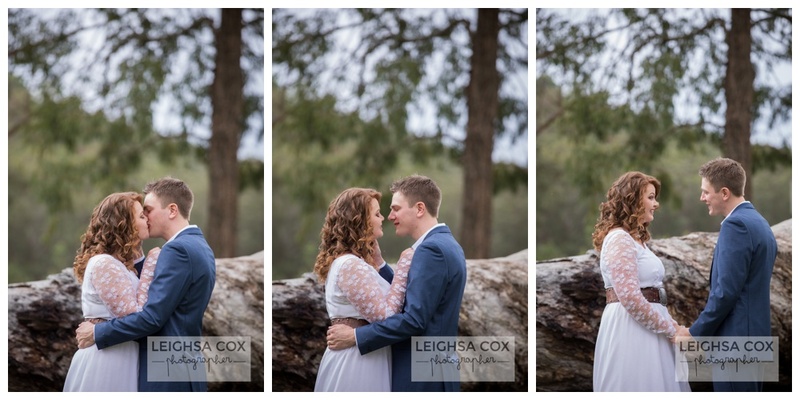 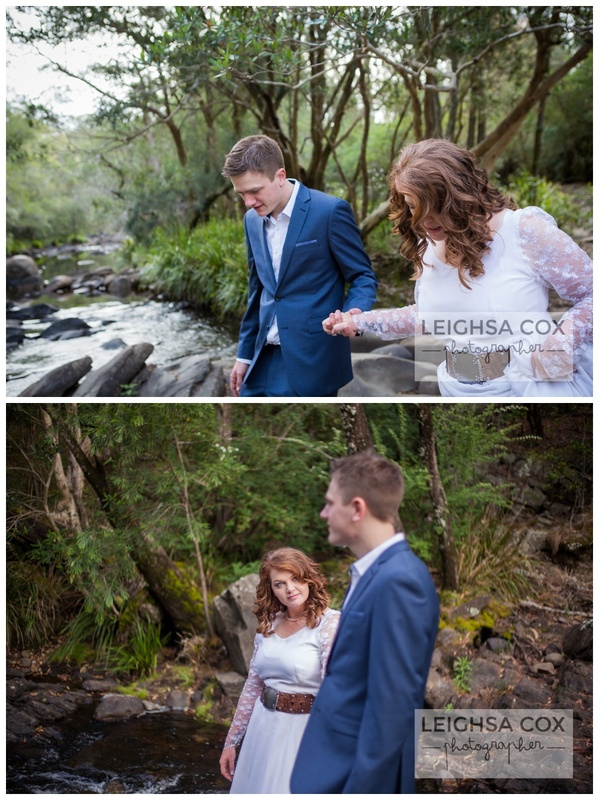 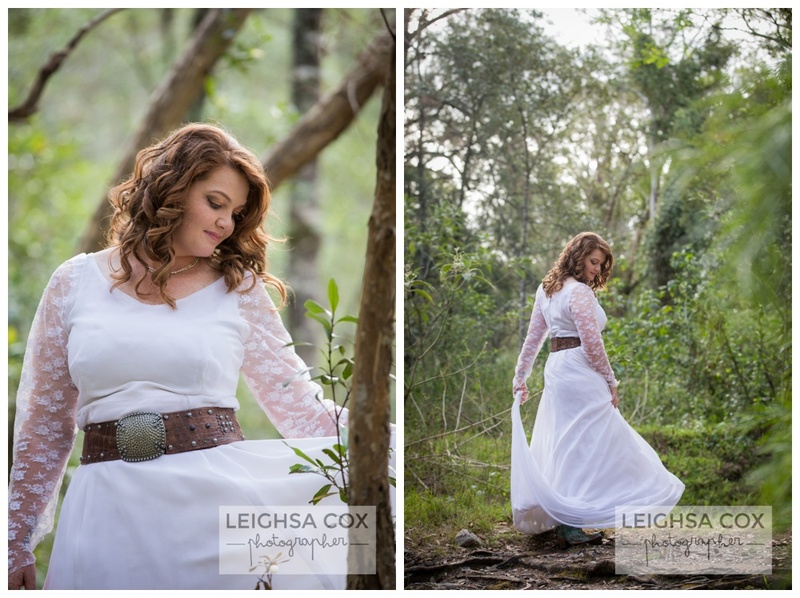 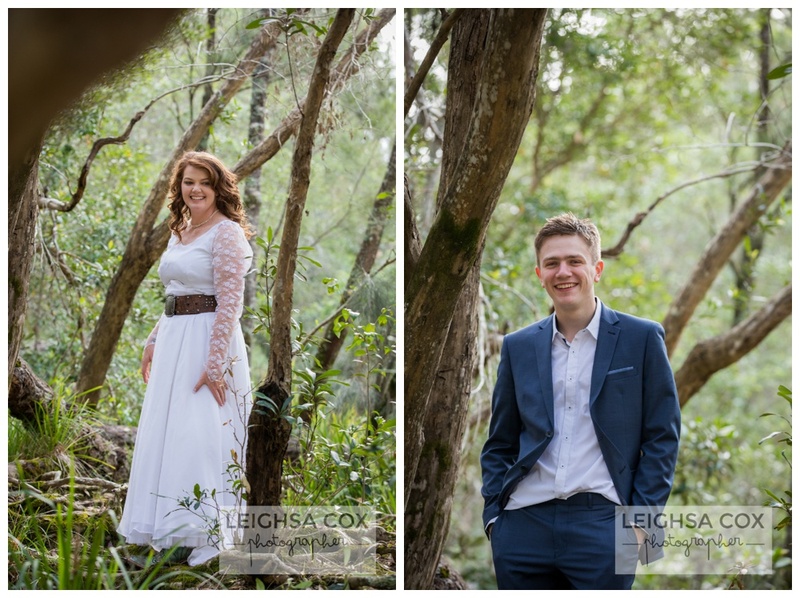 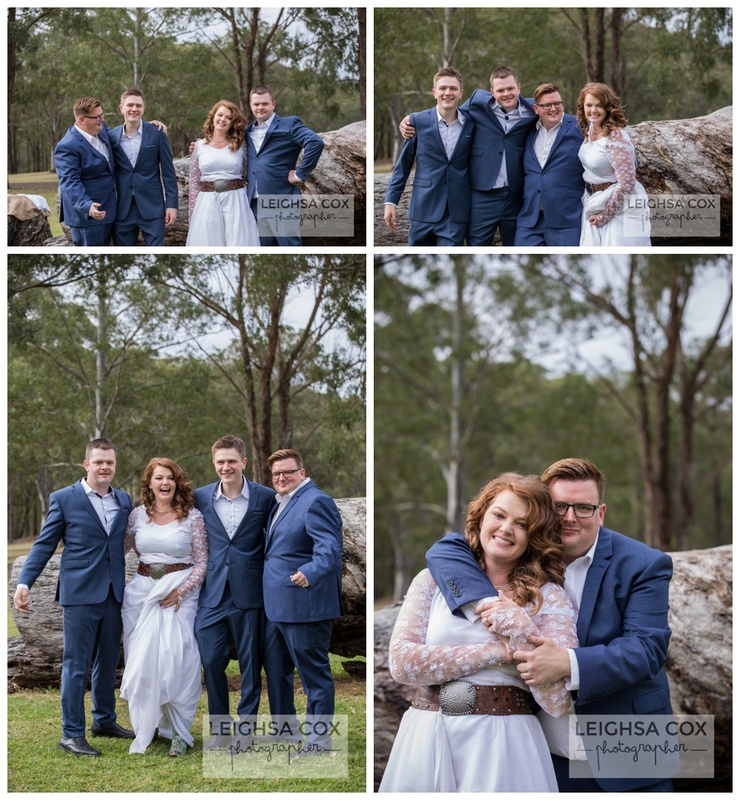 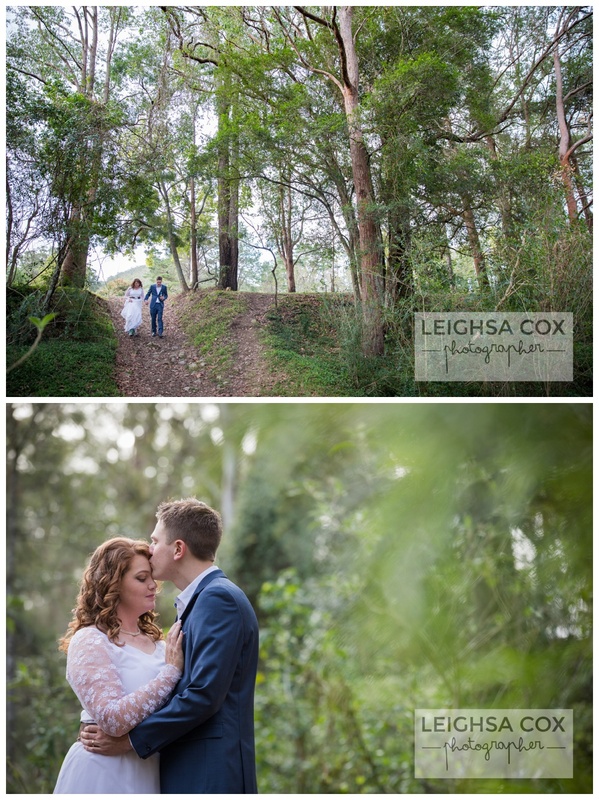 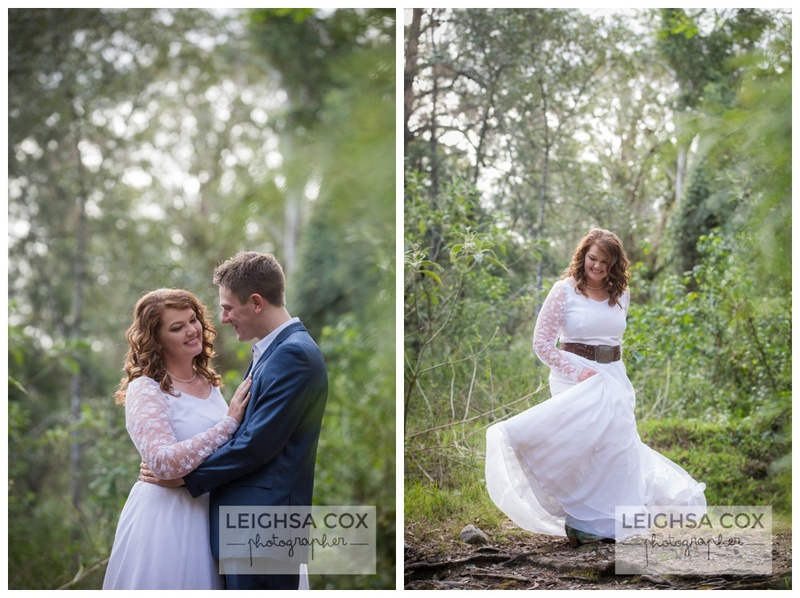 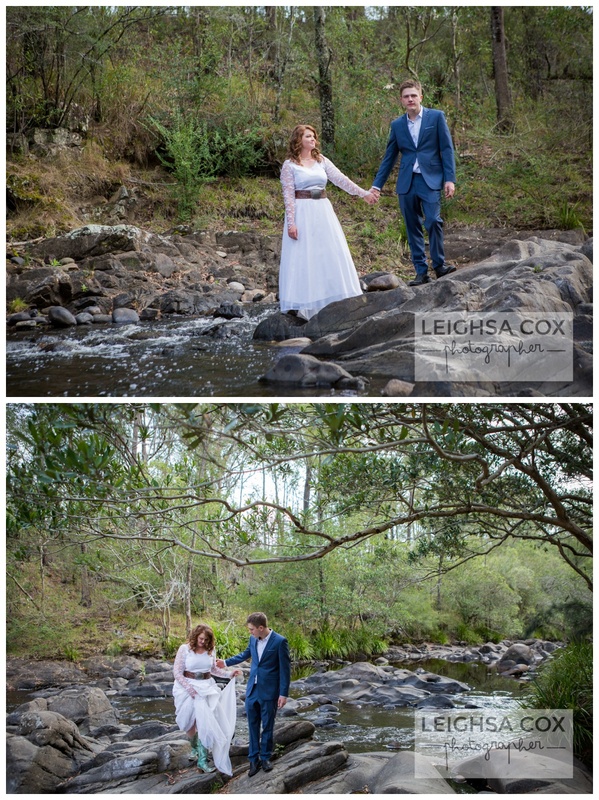 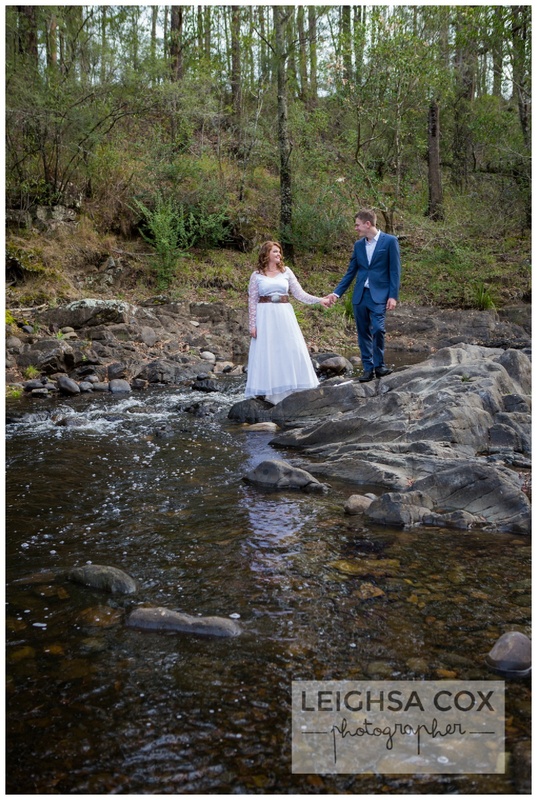 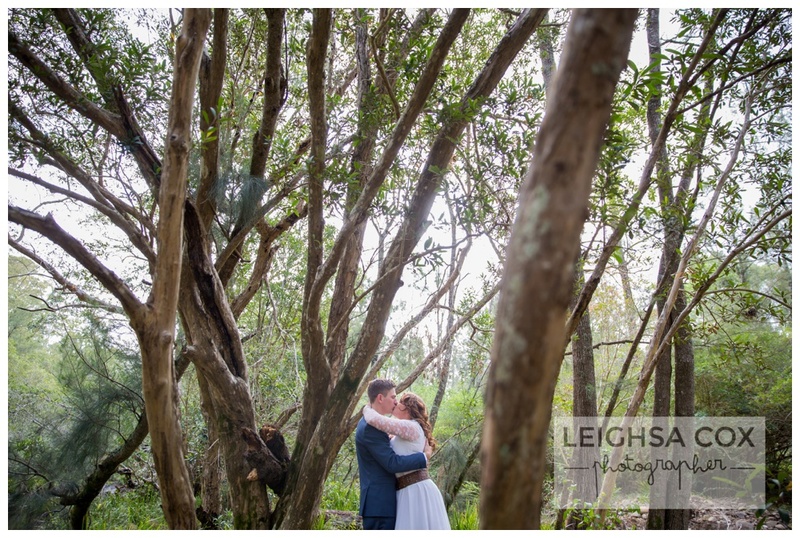 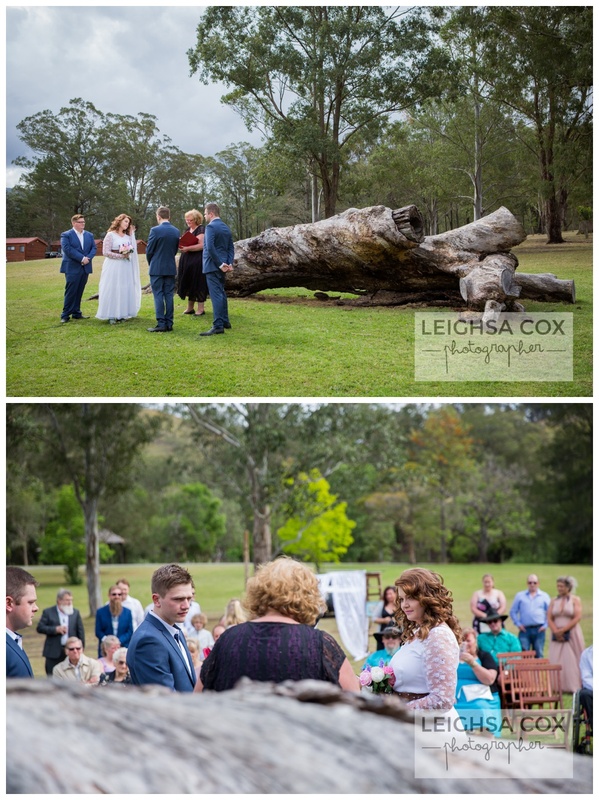 Jack and Lorraine held their ceremony near the old fallen tree at Riverwood Downs. 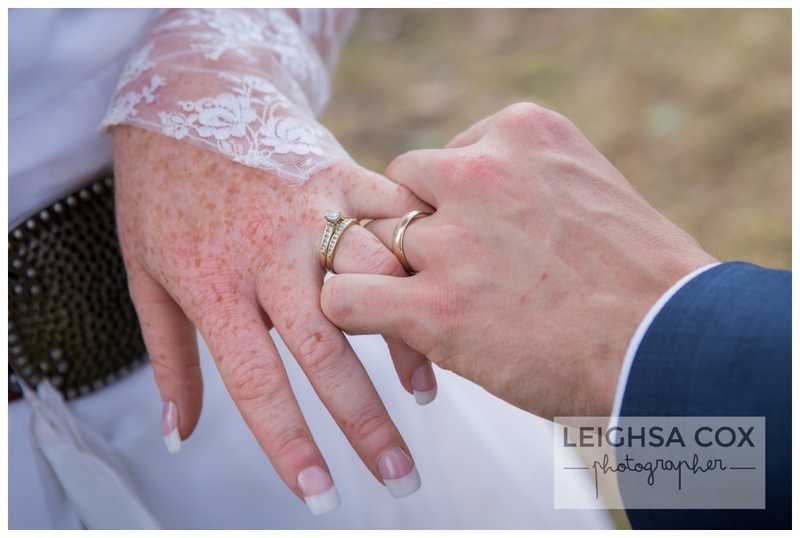 With rain threatening in the morning we all had our fingers crossed for it to be dry at 3.30. 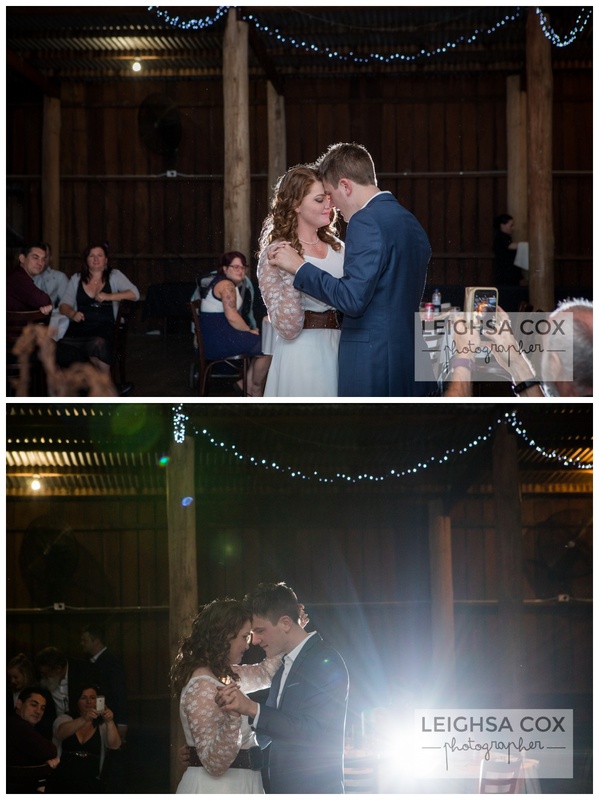 With happy tears flowing instead of rain the ceremony was so lovely. 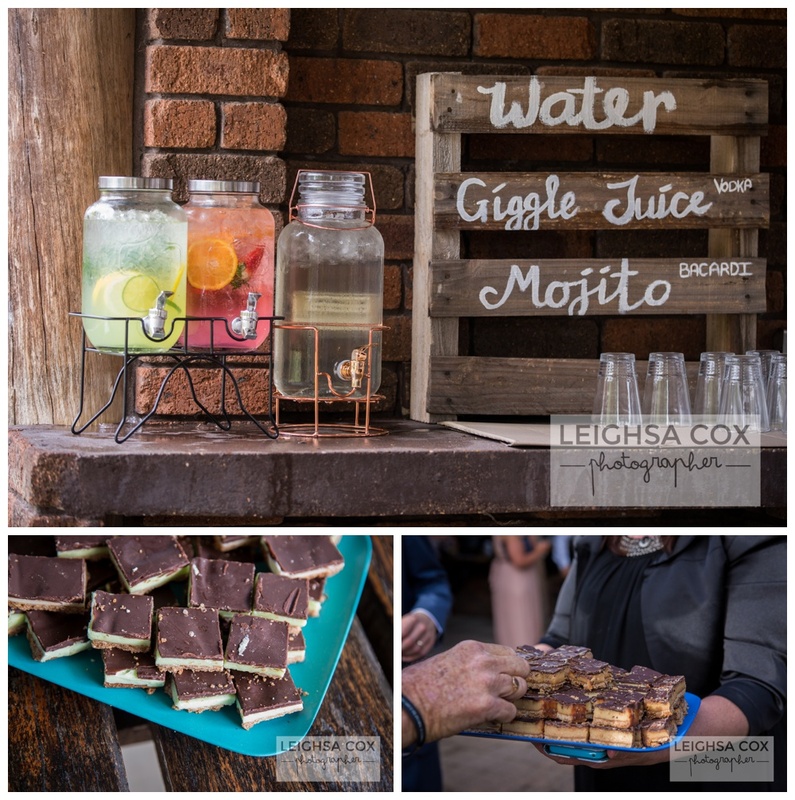 Cocktails and games (and homemade slices) followed on the grass by the barn. 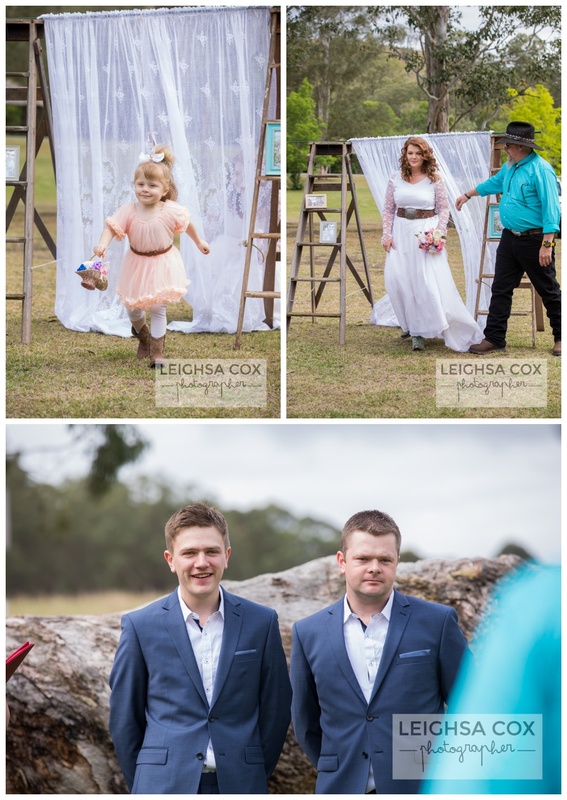 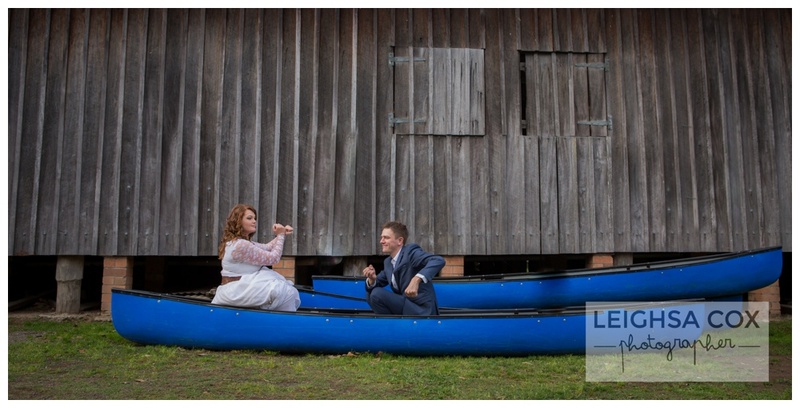 Jack and Lorraine are such an easy going couple, and the wedding was all about having fun. 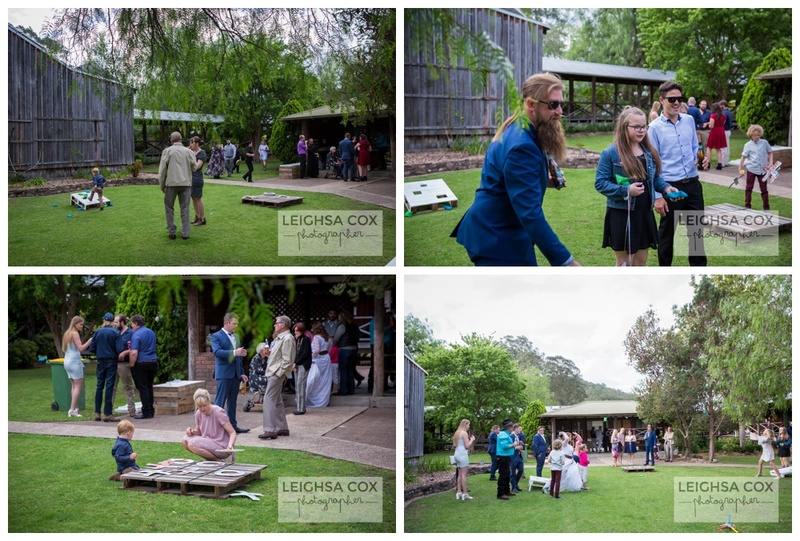 The kids and adults all loved getting competitive. 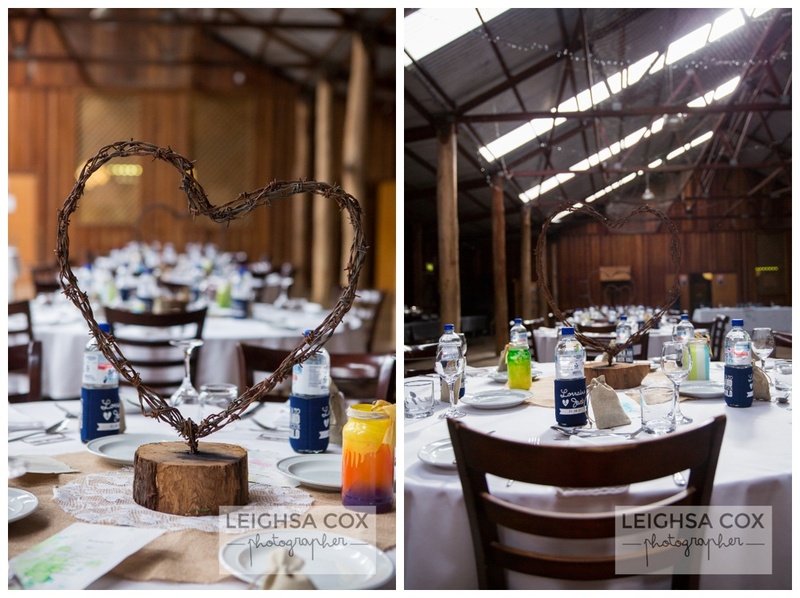 We all went back in the barn for dinner, with lots of handmade touches to decorate. 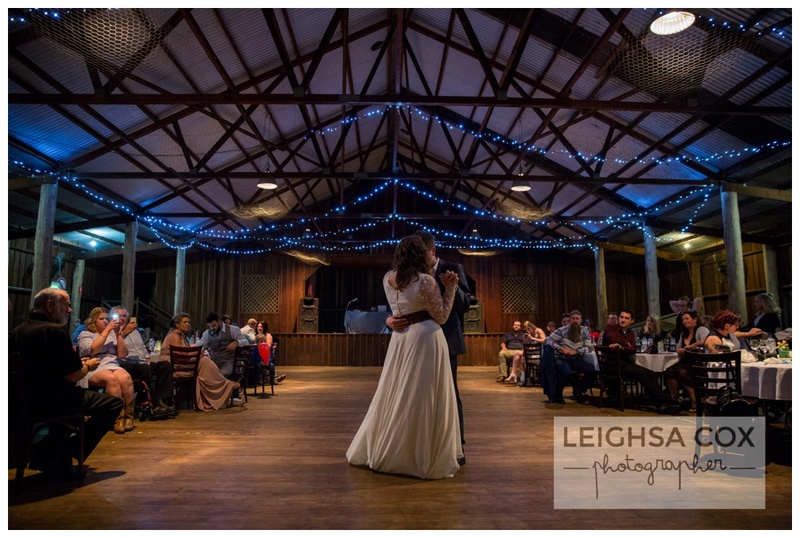 I was lucky enough to be a guest for the reception, while 2nd shooter Ellen was taking the lead on camera (also a few other guest shooters grabbed the camera at various times through the night). 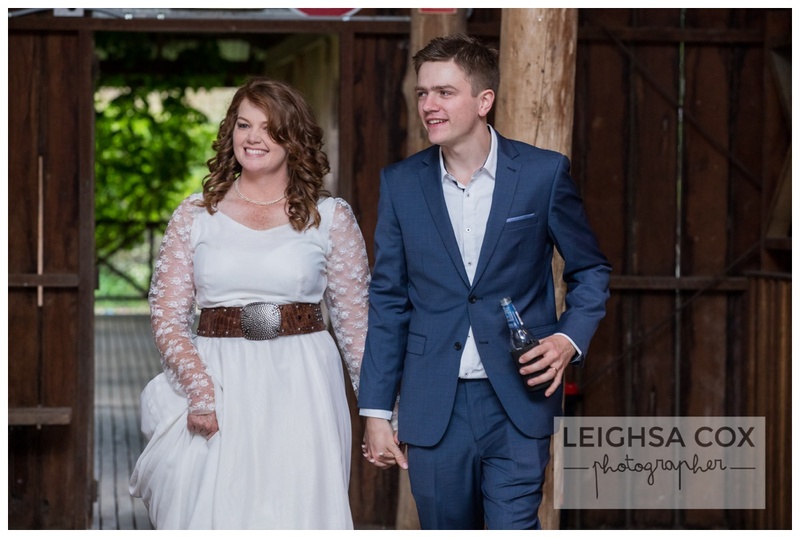 I had the best night with my family by my side. 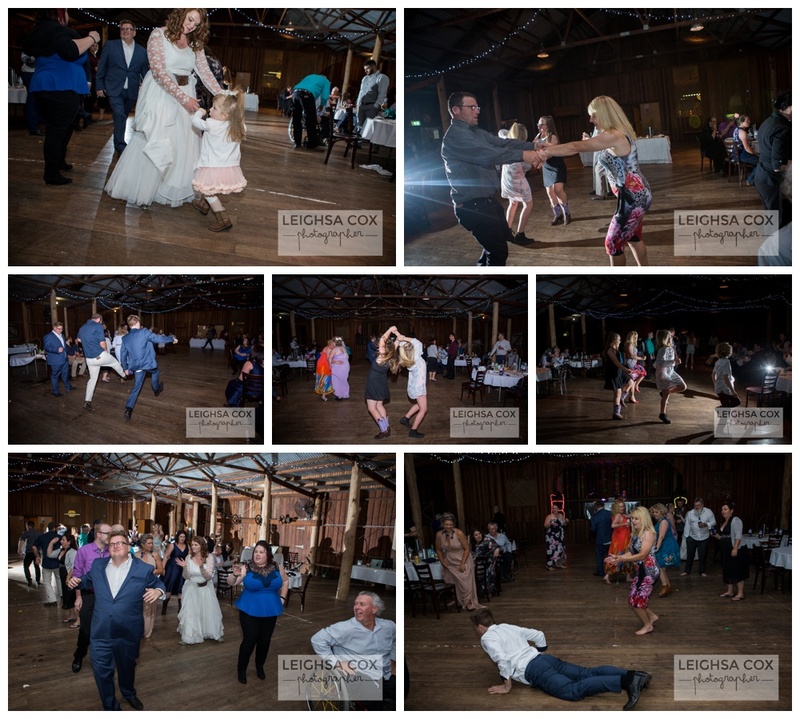 Everyone had a great night of dancing and big laughs!